Whether running for President of the United States in 2004 or leading civil rights protests, Sharpton’s highly visible career began at the tender age of four when he preached his first sermon. 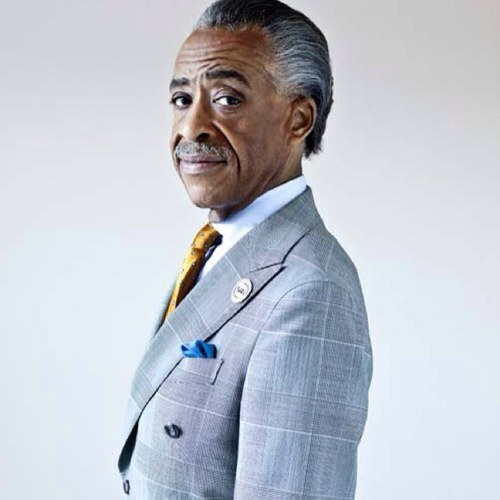 A successful civil rights career soon followed helping Sharpton hold such notable positions as the Youth Director of New York’s Operation Breadbasket, Director of Ministers for National Rainbow Push coalition, and founder of his own broad-based progressive civil rights organization, the National Action Network. Sharpton’s stance, in his own words, has taken him “from the streets to the suites” and his irrefutable impact on national politics has been applauded by both supporters and non-supporters alike. Sharpton continues to challenge the American political establishment to be inclusive to all people regardless of race, gender, class or beliefs. Sharpton will draw on his experience as a grass roots organizer, community activist and politician to offer “real deal” commentary, practical answers and solutions. Read more about Rev. Al Sharpton at http://www.sharptontalk.net.